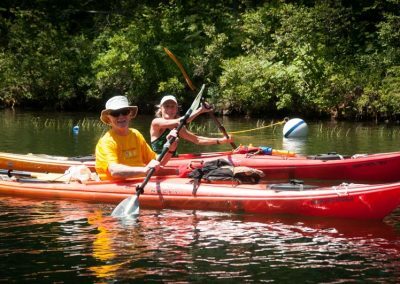 Recreation – Things to do on your vacation – Tennis, Boating, Hiking and MORE! 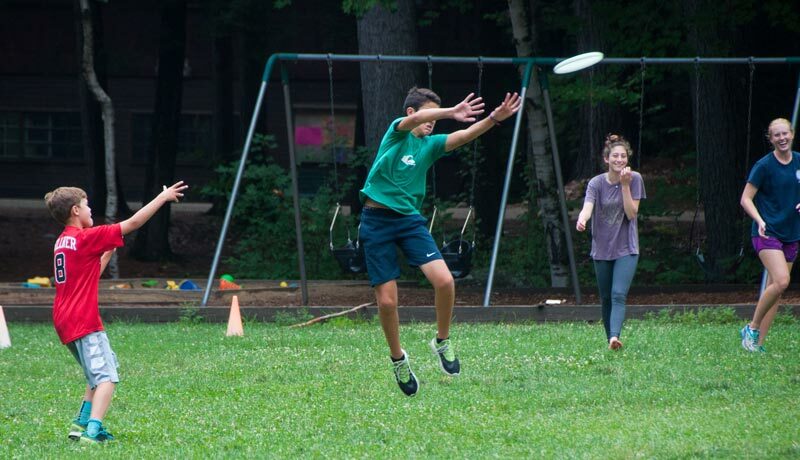 So much to do at RDC! 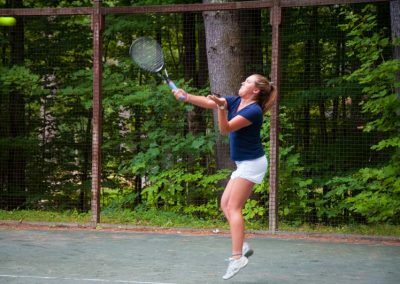 Our guests enjoy the use of eight Har-Tru tennis courts, a ball field, basketball court, toddler playrooms, swimming floats and library/reading rooms. 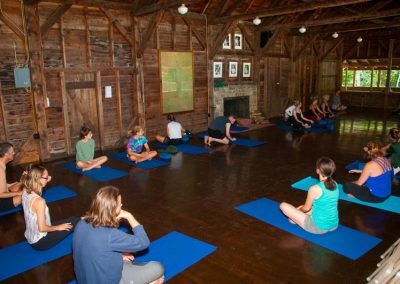 Yoga classes, square dances, talent shows and rainy day activities are schedule in our rustic open-sided auditorium by our Recreation Staff. This crew also runs tennis tournaments, organized games and sports, a morning toddler playgroup, picnics, boat and bicycle tours, spectacular hiking, swimming and sailing events, nature walks, boat tours and more! 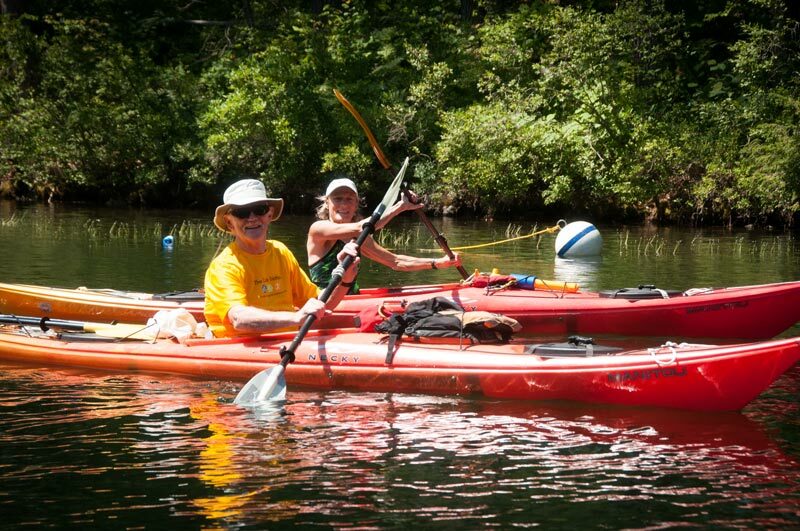 Canoes, paddle boards, Sunfish, rowboats, kayaks, bicycle and motor boat rentals are also available. 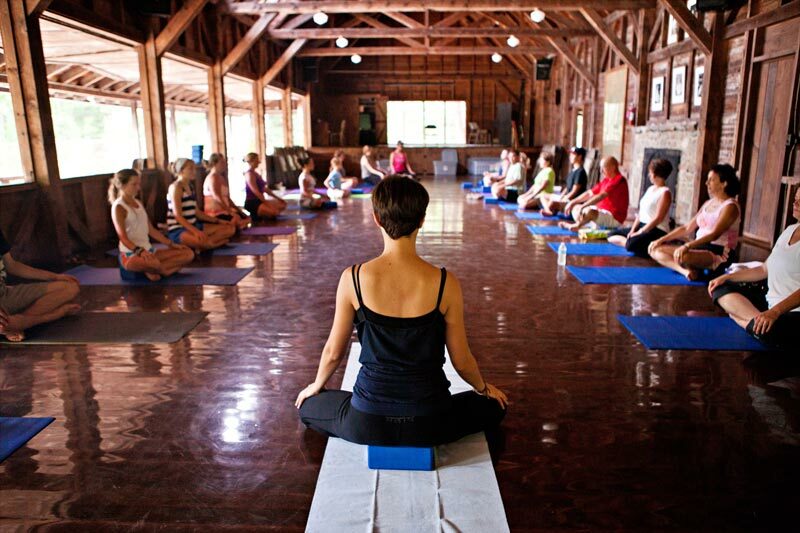 Check out our summer calendar for theme weeks and great discounted rates! If during your stay you are in need of a babysitter, you are always free to post a request with our staff. Off-duty employees are often available and happy to help fulfill your need for additional childcare. 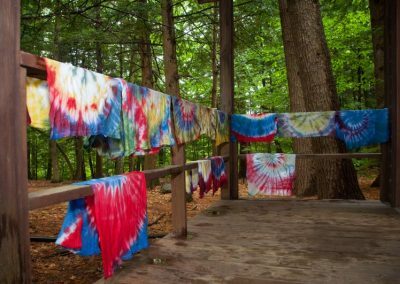 Rockywold Deephaven Camps also offers a Wee Campers Program for 3-6 year old children Monday thru Friday from 9:30 am to noon. 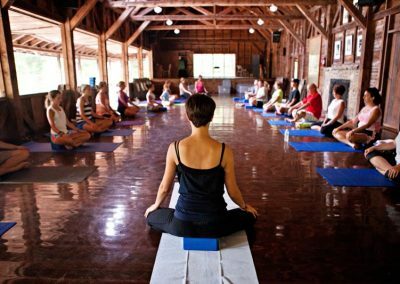 This is a relaxed and well-supervised morning playgroup for parents who might want a little alone time on their vacation. RDC‘s Toddler Playrooms are a wonderful rainy day alternative for children ages 5 and under, and a good place for the little ones to release some energy before and after meals. 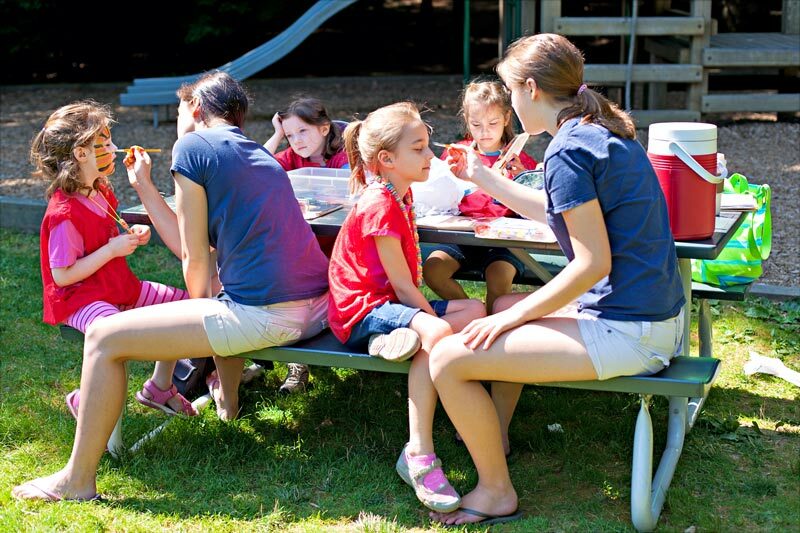 The Toddler Playrooms are located at the Sap House in Rockywold and next to the Deephaven Office in Deephaven. Playroom hours are 8 a.m. to 8 pm. Toddlers must be accompanied by an adult. There are many lovely porch corners, sunny docks, and secluded spots all over RDC where you might read a book, relax or meditate to your heart’s content, but if you are in the mood to run, hike, sail, swim, fish, play games or participate in a mini-triathlon– well, we’ve got all of that waiting for you, and more. 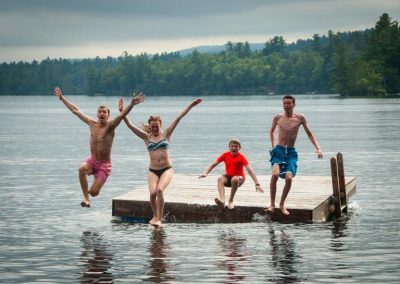 We lead half-day hikes in the Squam Lakes Region and more strenuous full-day hikes in the White Mountains. On Sunday afternoons, we play family softball on the ball field. The pace picks up a bit at the employee vs. guest game on Wednesdays. There are eight clay (Har-Tru) tennis courts at RDC for guest use. We also run a number of tennis tournaments and round robins open to all interested guests. 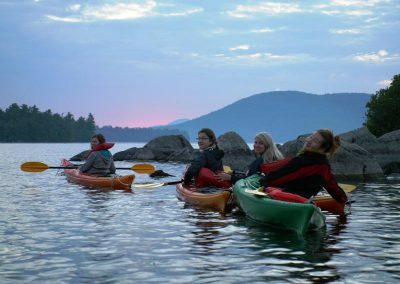 Learn about the environment and history of Squam Lake on a cruise aboard our pontoon boat each Monday and Wednesday afternoon. Monday night isn’t the same without the traditional game on the ball field for those under twenty. Parents may play with children under five. 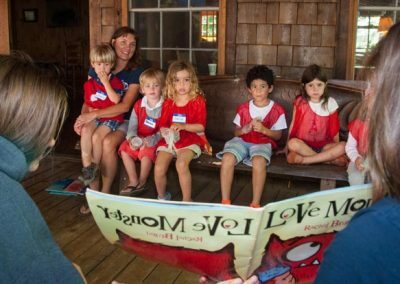 Is available for 3-6 year old children Monday thru Friday from 9:30 a.m. to noon. This is a relaxed and well-supervised morning playgroup. On some Thursday nights, guests and employees are invited to share their talents in our weekly talent show. Read a poem! Dance a jig! Play the tuba! 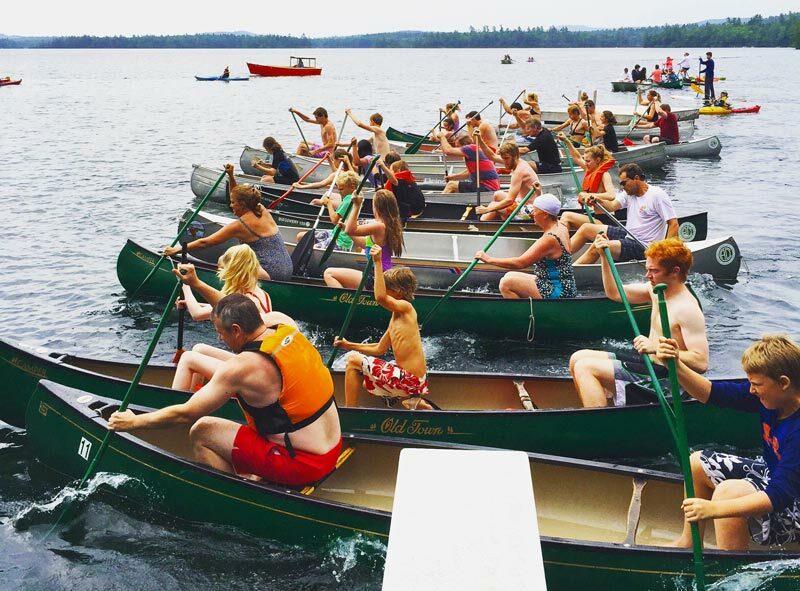 On Thursdays, the Wacky Canoe Races offer boating fun for the whole family. Bring your canoe or rent one from RDC and compete in wacky races such as: the standing canoe race, hand paddling, or the classic switch-places-with-your-partner-when-the-horn-blows. Starts on the ball field on most Thursday afternoons. Run or walk for your health, a little competition, or simply for fun! 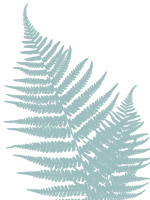 Join the staff from the Squam Lakes Natural Science Center for an informative walk into RDCÂ´s natural environment. Tuesday morning walks are geared toward children, while the Thursday walks are planned with adults in mind. 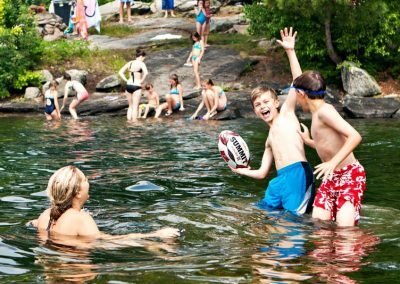 Special activities such as a boat trip to jumping rock, Teen Extreme Scavengerpalooza, and other adventures are offered. 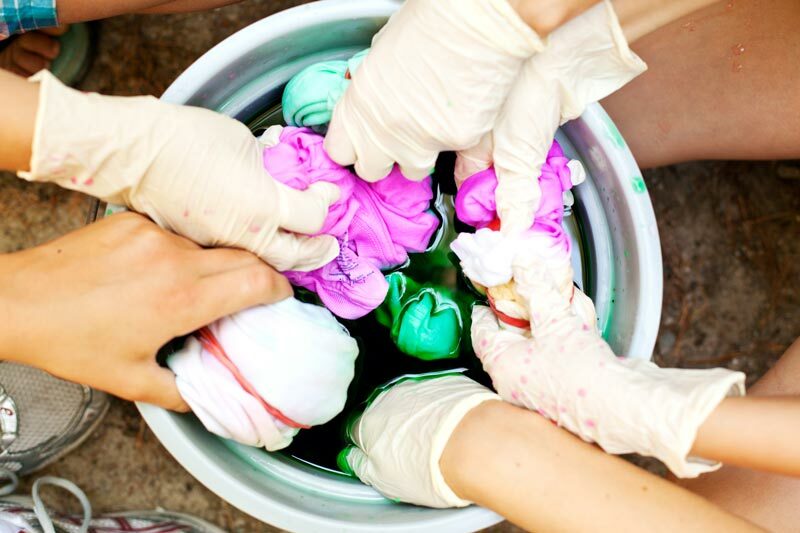 Check out our sample list of activities offered most weeks called the Sneak-A-Peek! 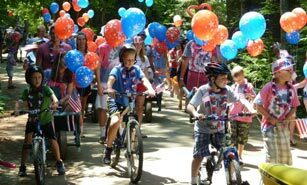 You may also look forward to mini-triathlons, bicycle tours, scavenger hunts, evening presentations, movies, parades, tie-dying, boat rentals and much, much more. If you are in need of a babysitter, please contact your housekeeper or fill out a babysitting slip and post it on the bulletin board in either summer office to see if an off-duty staff person will be available. Off-duty employees are often eager to earn extra money. 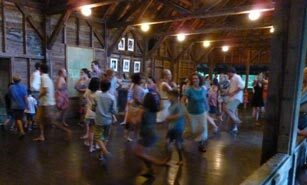 Friday night square dances are an old tradition at RDC and are not to be missed! 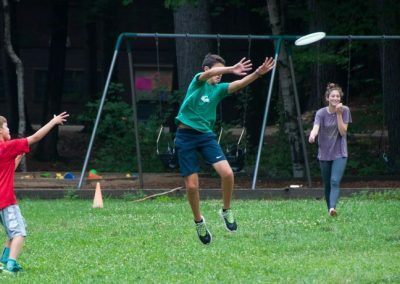 There are so many unique activities available during your week at RDC, it’s impossible to fit them all in! Be sure to pickup the Sneak-a-Peek for your week when you arrive at check-in. If you’d like to get a feel for what a typical week’s activities at RDC might be, click the link below to view a sample activities schedule. RDC has a fleet of canoes, kayaks, stand up paddleboards (SUP), Sunfish sailboats, hydro-bikes, rowboats, rowing canoes and 4 horsepower motors available for rent. Please see our Boat Rental Fleet for photos and descriptions of the boats. You may reserve weekly boat rentals in advance by calling the RDC Office or by filling out the reservation form. Daily rentals may be requested at the office upon your arrival and will be provided if available. Boat Rental requests made after 4:00 pm will be delivered the following day. 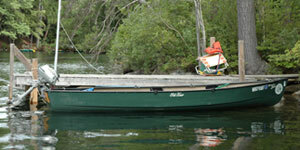 Boats are delivered to your dock and rentals include life jackets and paddles. Cushions, a fire extinguisher and whistle are provided for rowboats and rowing canoes. Motor rental includes 3 gallons of gas. Please contact the Office or Harbormaster if you have any boating questions. BOATING is a central part of the RDC experience. 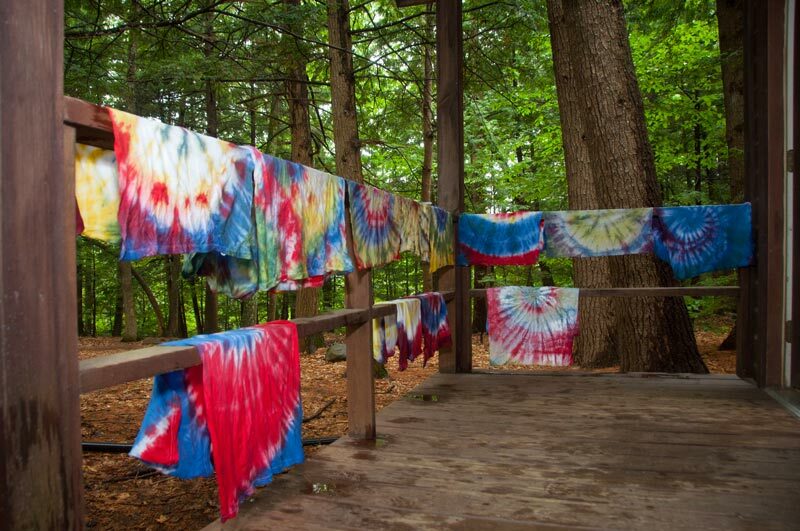 To ensure everyone’s safety there are many State and Camp rules that we all must follow. Below are RDC‘s Boating Rules and Regulations along with prominent state laws. We urge motorboat operators to review the complete N.H. State boating laws found in the booklet entitled “Boater’s Guide” located in your guest manual or at either camp office. RDC PROHIBITS THE DOCKING AND USE OF BOATS WITH MOTORS ABOVE 25 HORSE POWER.RDC GUESTS ARE PROHIBITED FROM DOCKING OR MOORING BOATS WITH MOTORS ABOVE 25 HORSE POWER ELSEWHERE ON THE LAKE.VISITORS FROM OTHER PARTS OF THE LAKE OPERATING BOATS WITH MOTORS ABOVE 25 HORSE POWER MAY NOT DOCK OR PICK-UP AND DROP-OFF PASSENGERS WITHOUT PERMISSION OF THE MANAGEMENT. 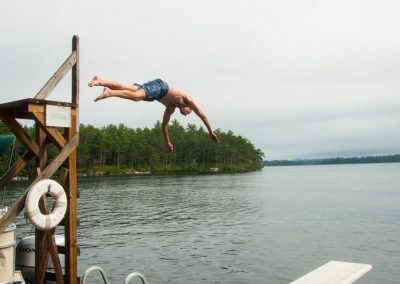 It is against NH state law to water ski or operate a motorboat at a speed greater than 6 mph (headway speed) within 150 feet of the shoreline, docks, swimmers, and other boats. Due to the intensive activity along our shores in the summer, RDC strongly recommends that guests observe a 300 feet (100 yard) limit for headway speed. RDC employees and guests should NOT participate in any form of high speed boating in Bennett Cove or in the vicinity of the Deephaven shoreline. The State of New Hampshire does not set an age limit for the operation of motorboats 25 horsepower or under. RDC, however, does not permit guest children under 12 years old to operate a motorboat unaccompanied by someone at least 18 years old. It is the responsibility of all adult RDC guests to ensure that their children of all ages know and understand these regulations. Do not exceed the maximum capacity of the boat. If the weather seems threatening please limit your boating activities and stay near the shoreline. All boats, canoes and kayaks must carry Coast Guard approved life preservers (one per person) of a size appropriate for the intended user. All powerboats must have a fire extinguisher and horn or whistle on board. All boats and canoes must operate “boating lights” if in use after dark. It is extremely dangerous and illegal to operate a boat after dark without boating lights. For your safety and the safety of others please use proper boating lights. Boat lights can be purchased at Zodiak. All “non-camp” boats must be registered at the office at check in. All power and sailboats must be registered with decals and numbers on the bow. To help stop the spread of obnoxious exotic aquatic weeds, anyone who brings their own boat to RDC must remove all aquatic weeds from their boat and trailer before launching into the lake; and before transporting to another water body. DAMAGING: The drinking water quality of the Lake is threatened. The wave action of high speed boating causes shoreline erosion, disturbs people in sailboats, canoes and rowboats, and causes damage to boats attached to the docks. DESTRUCTIVE: Wildlife habitat is threatened. 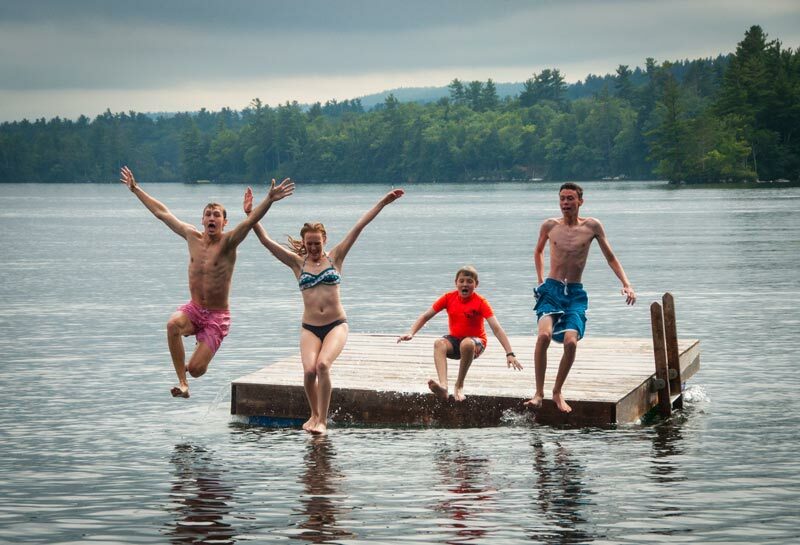 The protection of loons has been an ongoing concern for the Lakes Region. High speed boating and persistent annoyance towards these birds are very dangerous to their survival. Operating a boat while under the influence of alcohol is extremely dangerous and illegal. Please review the state rules for alcohol and boat operation. Remember to be a safe boater on Squam. Be aware of other boaters. Respect the surrounding environment, lake and wildlife. Do not pollute, disturb nests or use excessive speed on the lake. We greatly appreciate your cooperation. ALL RDC GUESTS OPERATING A MOTORBOAT OR RENTING AN RDC WATERCRAFT OF ANY KIND MUST SIGN THE RDC BOATING AGREEMENT FORM AVAILABLE IN EITHER OFFICE OR FROM THE HARBORMASTER. 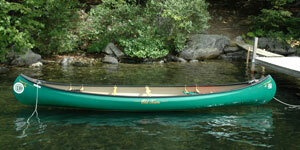 Ideal family canoes with a wide, flat bottom that provides reassuring stability. These canoes are aesthetically appealing and fun to paddle for the whole family. Solid canoes that were built to last for generations. Good stability and tracking for families or Wacky Canoe Races. Very stable with a roomy cockpit and easy to paddle. The perfect kayak for cruising along the shore, taking photoghraphs and relaxing on the lake. 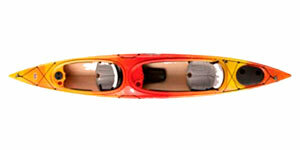 A performance kayak for intermediate or advanced paddlers. Touring kayaks are longer and faster than recreational kayaks. Has skeg for enhanced tracking and two hatches for longer voyages. Easy & stable kayak for two people plus a small child. Double kayaks are very popular for families with young children. A sit-on-top you can stand up and paddle! This recreational SUP provides a great full body workout and is perfect for the entry level to intermediate stand up paddler who is just getting into the sport. Stand up or sit down, the Nalu is stable yet maneuverable. Most of all, the Nalu is fun! The Cruiser SUP Dura-Soft provides the ultimate in stand up paddleboard fun, performance and safety for first time riders to paddle enthusiasts. Great all-round performance on flat water and small to medium waves. Stable, fun, easy to use with a good glide for cruising. The Malibu Pedal and Old Town Predator Pedal feature a unique pedal power system, with an ergonomic chair, and a hand controlled rudder that allows the boat to steer quickly. The Pedal Drive tips into a docking position so you can paddle in shallow water and the paddle mounts to the side of the kayak. These kayaks are great for fishing or for a longer distance tour. 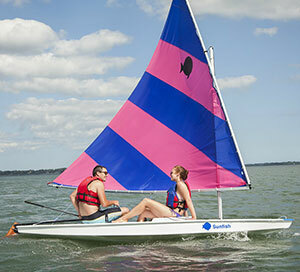 The Sunfish is the most popular recreational sailboat in history. Its classic design, unmatched stability and sailing ease are enjoyed by all ages. Compete in our weekly Sunfish Regatta, held on Friday afternoons at 3:00 pm and race from Flagstaff Point, around Otter and Birch Islands, around Deephaven Reef and back to the comittee boat. 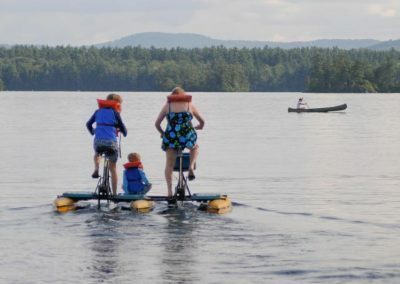 Fun Watercraft HydroBikes HydroBikes are easy to pedal and are very stable for kids (age 8 and above) or adults. They are available as single or tandems, which have two bikes and three pontoons. Grumman Seneca 13Rowboats accomodate up to four adults and can be rented with or without a 4-hp motor. These are stable boats for fishing or putting around the lake. Old Town Discovery Sport Rowing Canoe for two or three people. 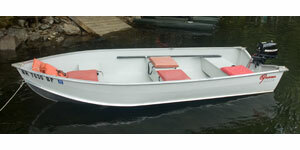 Can be rowed with oars, paddled as a canoe, or rented with 2 hp motor. An efficient and quiet motor for Rowboats. 3 gallons of gas are provided with rental. An lightweight and efficient motor for Rowing Canoes. The Malibu Pedal and Predator Pedal are comfortable, fast and high performance kayaks, featuring an ergonomic chair, efficient pedaling system, and a hand controlled rudder that allows the boat to steer quickly. The Pedal Drive tips into a docking position so you can paddle in shallow water and the paddle mounts to the side of the kayak. 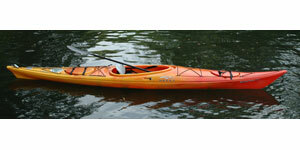 These kayaks are great for fishing or for a longer distance tour. 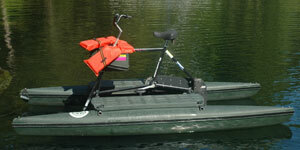 HydroBikes are easy to pedal and are very stable for kids (age 8 and above) or adults. 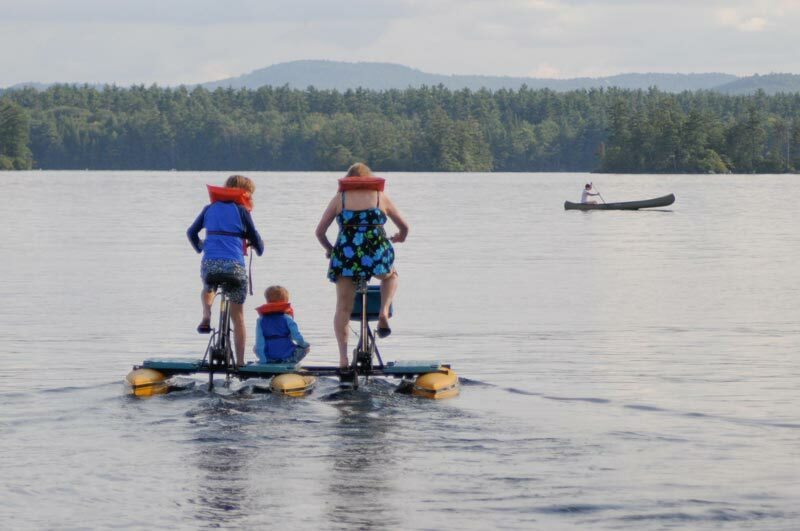 They are available as single or tandems, which have two bikes and three pontoons. 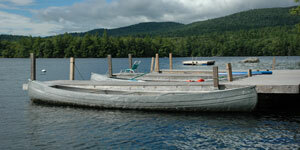 Rowboats accomodate up to four adults and can be rented with or without a 4-hp motor. These are stable boats for fishing or putting around the lake. 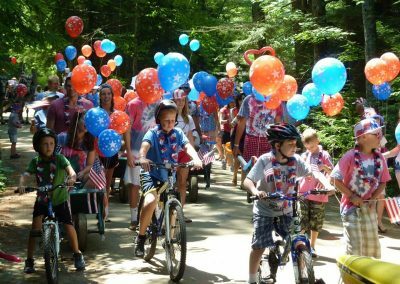 Big Loon Island is reserved by the Webster family each Wednesday and Saturday in July and August, as well as Independence Day and Labor Day weekends. RDC guests are not permitted on the island on these days, and those reserving the island on previous evenings are requested to depart by 10 a.m.
Big Loon is split into two sections, “A and B”: this allows two families to share the island. Each section has its own docking, camping and swimming area, but both sections share the outhouse. Only one family may reserve the island for an overnight at a time. 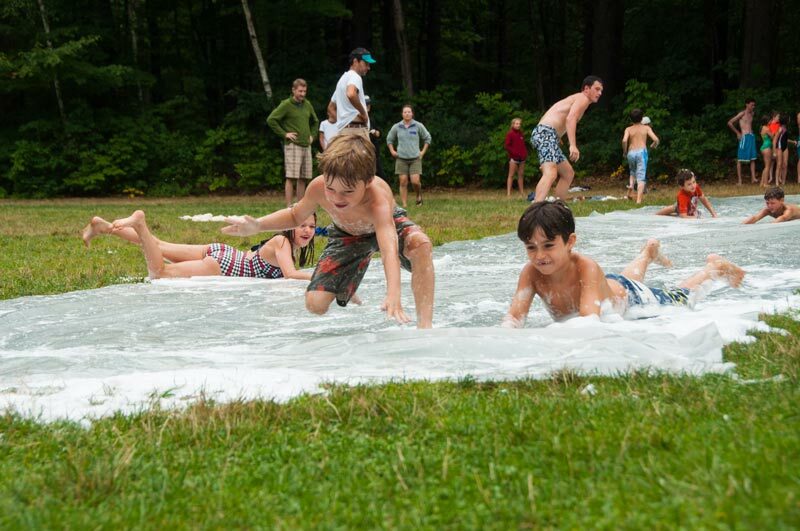 Overnight camping is permitted on Big Loon Island beginning at 7:45 pm. Supper use will end at 7:30 pm. 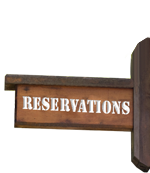 Supper reservations do not include overnights unless arranged in advance. Nighttime use of Big Loon Island is for camping purposes only. Parties are discouraged. Overnight camping is not permitted on Little Loon, Otter and Birch Islands. 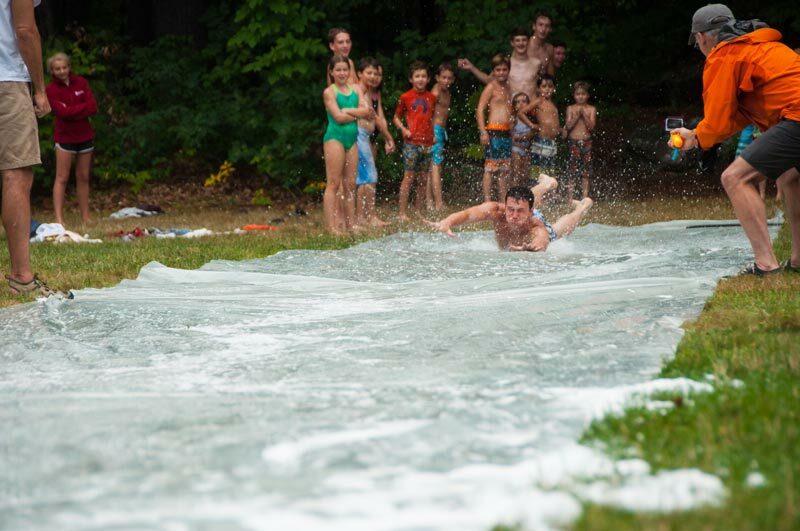 Overnight Camping (Big Loon Only): 7:45 p.m. to 10:00 a.m. 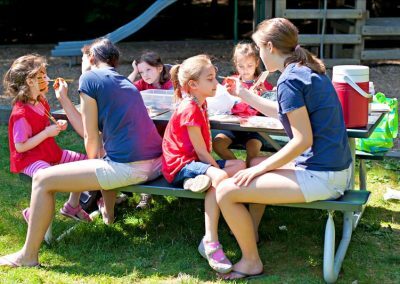 Lunch: 10:30 a.m. to 3:30 p.m.
Supper: 4:00 p.m. to 7:30 p.m.
To make an island reservation, upon arrival at Camp (after 4 p.m. on Saturday) guests must check with RDC Office Staff for availability. Island reservations cannot be made prior to arrival. 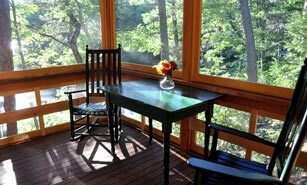 Only one island reservation can be made per cottage per week. Families are responsible for bringing their own firewood. They are also responsible for cleaning up the island after usage. Please ask food service for plastic garbage bags. Any problems or signs of misuse should be reported to the Rockywold or Deephaven Office. Do not anchor or remain stationary for a long time. Be quiet while observing the eagles. Do not swim near the island. Pets and swimmers are more threatening than slowly moving boats. RDC‘s Otter and Birch Islands are available for day use only. Otter Island has a fire pit and a float. Reservations are also necessary for these islands. Check with the Office Staff for availability. 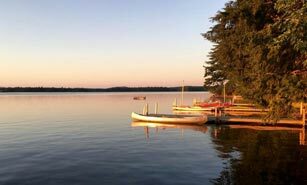 Located 1 mile south of Rockywold’s main dock, Church Island is also known as Chocorua Island. It has an outdoor church with a rock altar, birch tree cross, and a spectacular view of Mt. Chocorua. During the summer, services are held every Sunday morning on the island. Everyone is welcome. 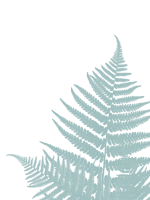 To find out more about Chocorua Island Chapel, visit their website at http://churchisland.org. 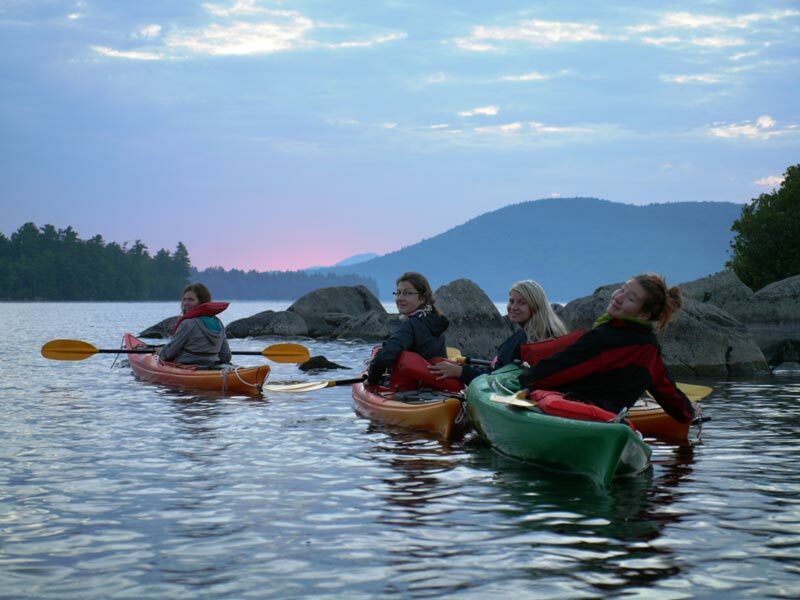 Maintained by the Squam Lakes Association (SLA), Moon & Bowman Islands are open to the public on a limited basis for low-impact use and camping. Read the SLA “A Primer for Squam” brochure or call (603) 968-7336 for more information. 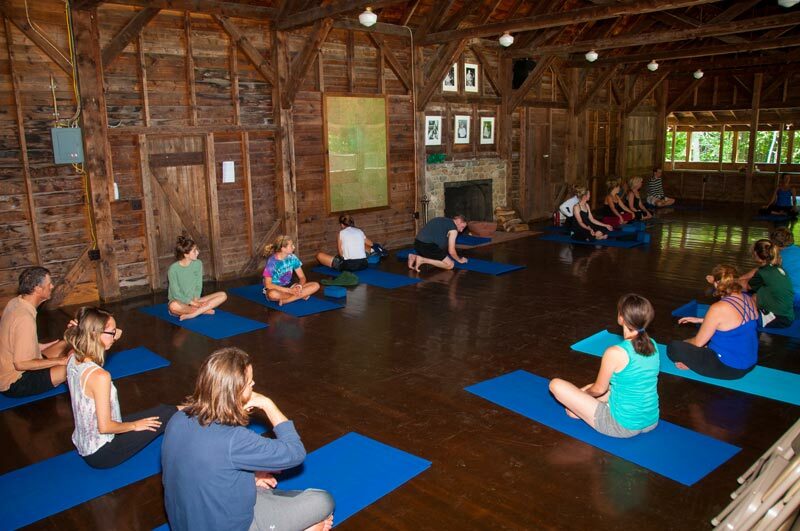 Donated to the University of New Hampshire by C. C. Morris, Five Finger Point is also open to the public on a limited basis for low-impact day use only; no facilities, no fires, no camping. Maintained by the Squam Lakes Association (SLA), and owned by the New England Forestry Foundation (N.E.F.F. ), the Chamberlin-Reynolds Forest is open to the public on a limited basis for low-impact use and camping. 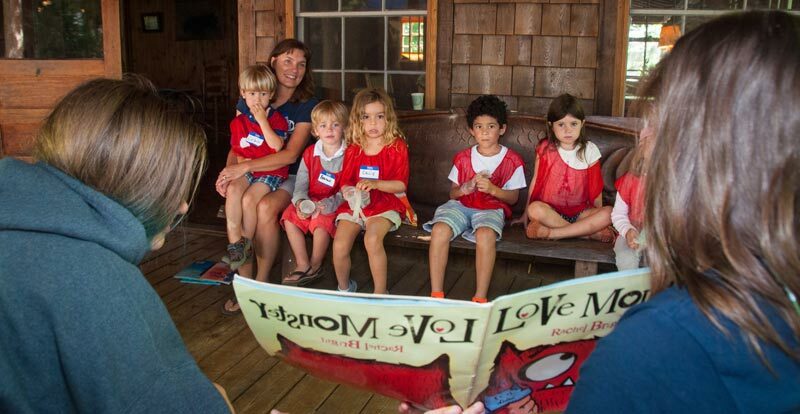 Read the SLA “A Primer for Squam” brochure or call (603) 968-7336 for more information. Browse through out gallery below (click on any image to view full size) and get a taste for all of the fun and adventure of a RDC vacation! There are eight clay (Har-Tru) tennis courts at RDC for guest use. 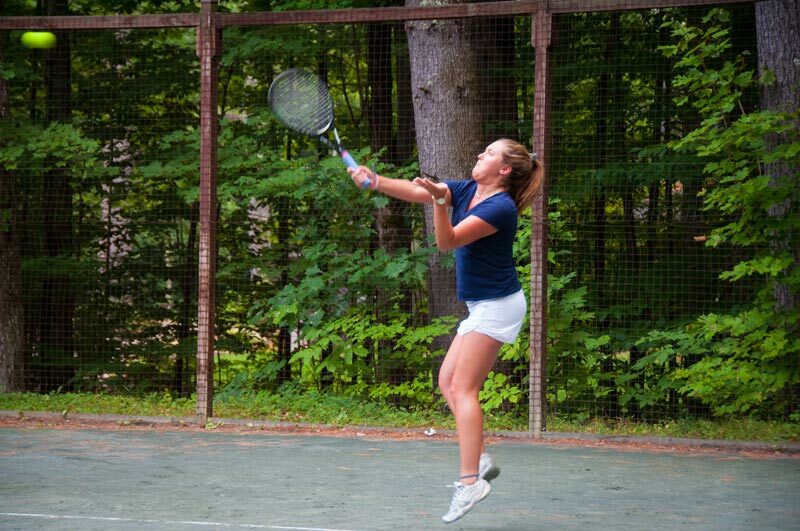 The court locations include: Playhouse Courts, Ballfield Courts, Outer Courts and Deep Courts. 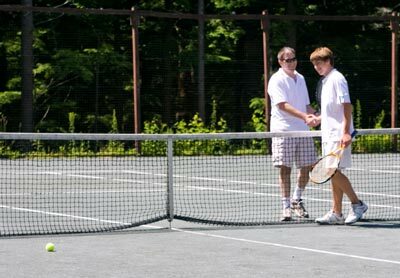 We run a round robin tennis tournament every Monday to get our tennis playing guests acquainted with each other early in the week. 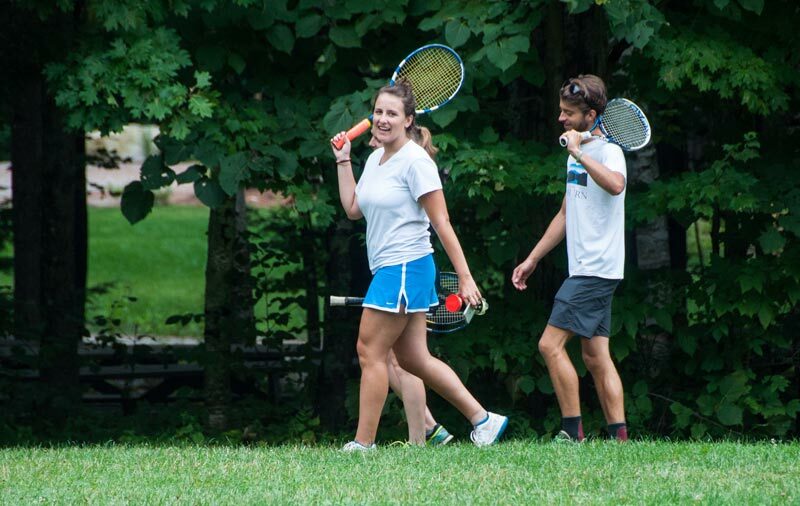 In mid July, we also have a more competitive week long tennis tournament. A glorious week. Shayna climbed Mt. Morgan with her father and went on the Tuesday Loon Island picnic. We did Otter Island and Five Fingers Point and played a pretend princess game at both places. We waded at Needle Point and Honeymoon rocks. We canoed and sang and played tennis and Shayna played pool! We did jigsaw puzzles and played â€œSequenceâ€ and â€œScrabbleâ€. We read and relaxed. A perfect RDC week.